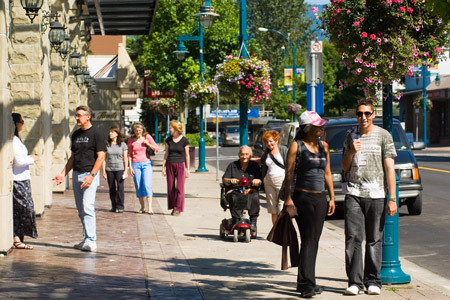 Downtown Port Coquitlam. Picture courtesy of Picture BC. bolster and diversify local economies. The Fraser Basin Council has worked with many communities in British Columbia through our Smart Planning for Communities initiative, which successfully completed in 2016. We are available to work one-on-one with local governments, First Nations, community organizations, businesses and others on a range of community projects. We can help with the planning, research, design and delivery of sustainability education, engagement and action initiatives. Contact one of our regional offices, or our main office in Vancouver.